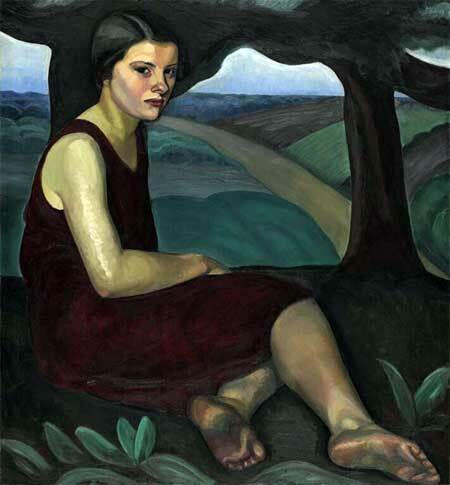 Born in Montreal, the sixth of eight children, Prudence Heward developed an early interest in art. She was schooled at home due to her severe asthma, but in spite of her delicate health her ambition was to become a painter. Her formal training came at the Art Association of Montreal (AAM) where she received instruction in drawing and landscape painting. When Prudence was 16, her father and two of her sisters died. Perhaps a sign of her determination and dedication, in the same year she won a scholarship to continue her studies at the AAM. Her studies were interrupted by the onset of World War I, however. Prudence left school and went with her mother and sisters to England, to be near her brothers while they served in the army. While there, she volunteered for the Red Cross. In 1918 the family returned to Montreal and Prudence resumed her studies. She later moved to France for a few years to study alongside her friend and mentor A.Y. Jackson, a founding member of the Group of Seven. Returning to Canada, she would exhibit, win awards and gain respect as an artist. In 1928 she was invited to exhibit with the Group of Seven, which earned her widespread acclaim. At a time when the opportunities for women artists were relatively limited, and art critics (most of them male) considered women painters ‘hobbyists,’ Prudence’s paintings of strong female figures were earning recognition. After a lifetime of frail health, Prudence’s asthma worsened after a car accident in 1939. She completed her last painting in 1945, and two years later went to Los Angeles for medical treatment. 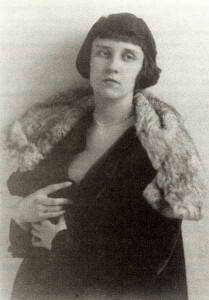 She died there on March 19, 1947, at the age of 51. In March, 1948 Prudence Heward was honoured with a memorial exhibition at the National Gallery. In July 2010 two of her paintings, Rollande and At The Theatre, were featured in Canada Post’s Art Canada stamp series. Prudence’s work can be found in several Canadian galleries including the Winnipeg Art Gallery, the Art Gallery of Ontario, the Montreal Museum of Fine Arts and the National Gallery of Canada. She may have been frail in health, but her paintings depict strong, almost defiant women. Prudence Heward is considered one of the most influential Canadian artists of the early 20th century. Great article Kate – we don’t hear enough about women like her who didn’t get the recognition they deserve. She has always been one of my favourite Canadian painters…..